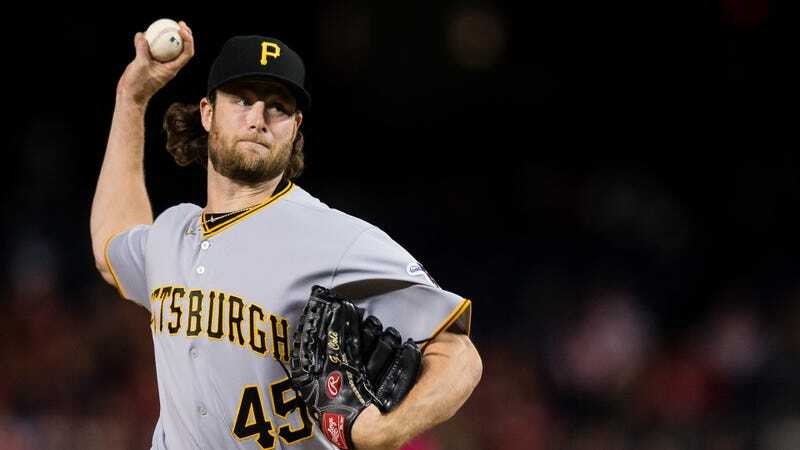 The Pirates have been playing with the burners of the hot stove for weeks now over the possibility of a Gerrit Cole trade, and now that it’s finally happened, they have surprisingly little to show for it. Cole will head to the Astros in exchange for former pitching prospect Joe Musgrove, fringe top-ten system prospect and corner infielder Colin Moran, low-ranking outfield prospect Jason Martin and middle reliever Michael Feliz. Individually, any of these players could have been at least decently competent pieces of a larger trade package—Feliz has struggled in the big leagues so far but has still posted a high strikeout rate, Musgrove is post-hype but not post-hope—but collectively, that return is decidedly underwhelming for a player like Cole, particularly when it’s intended to help kick-off a period of rebuilding. There’s nothing but good news here for the Astros. Their pitching staff from last year’s championship team will remain intact for now, just with the addition of a former number one draft pick a few years removed from finishing in the top-five for Cy Young voting. Since his standout 2015 season, Cole has spent much of his time struggling in attempts to get his results to match his raw stuff. But if any team can get a more consistent performance from him, maybe it’s one like the Astros—who’ve developed a reputation for rebuilding pitchers, from completely remodeling Charlie Morton down to supporting Justin Verlander in tweaking his pitch selection after last year’s midseason trade, with tremendous results. Maybe Cole becomes an eventual in-house replacement for Dallas Keuchel, who’s a free agent next winter, and maybe he ends up as something less than that. Either way, seeing as how all that Houston had to give up was a small collection of random pieces without significant upside, he should be well worth taking the chance on. The Pirates, meanwhile, have seen their window for contention threatening to close for a while now. Cashing in on a guy like Cole—their ace, and with two years of team control remaining—is the clearest move they’ve made toward a rebuild yet. And so the idea that this is the package they’d get back, one without any marquee prospects or especially proficient young major-leaguers, is somewhat confusing. The players they got in return are all either big-league ready or will be very soon, which speaks more toward a half-hearted attempt to extend the present rather than build in a new direction for the future. (Of course, whether or not they proceed with trading away Andrew McCutchen and Josh Harrison in the weeks to come, and what they take in return if they do, will better illuminate that.) Not everything about the deal is negative, sure: that’s a lot of team-controlled years for young players in return, and there’s not significant risk. There’s just not significant upside, either, and that they couldn’t get anything with a little more in that department seems odd. In an era with fewer and fewer one-sided trades—and in a year where teams have tried to attribute a lack of winter transactions to the fact that front offices are simply too smart to make mistakes—the Cole deal, at least on the surface, feels out of place.